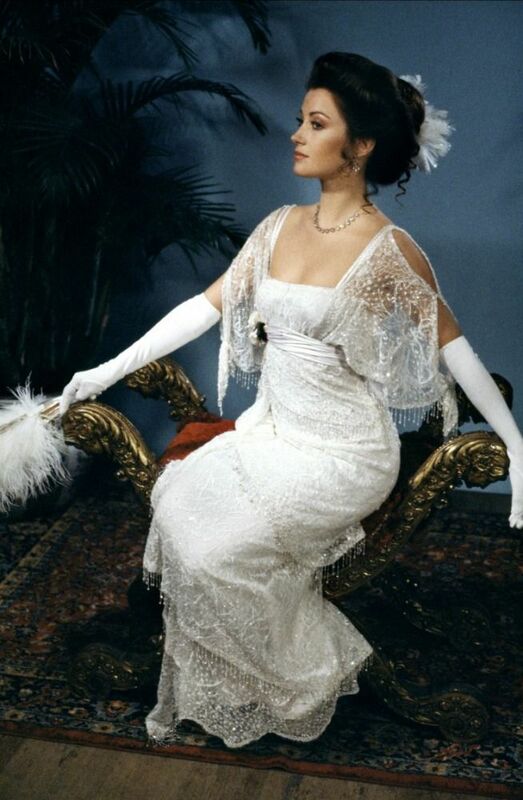 I always understood the cult of Somewhere in Time without ever considering myself to be a part of it. 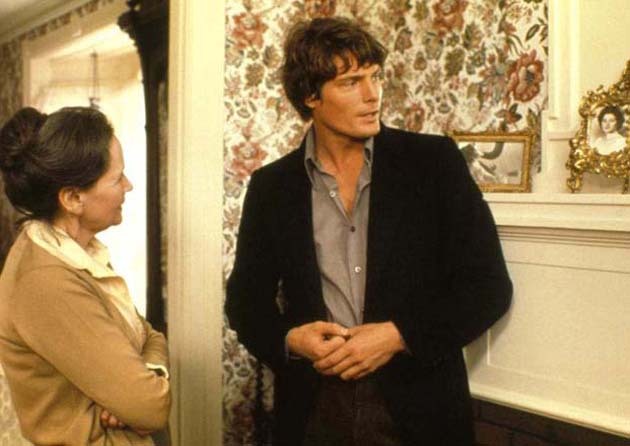 I first saw this picture on its HBO release, probably in 1981, because of course no one saw it in theaters on wide release, where it bombed because Christopher Reeve’s star was already descending, and because an actors’ strike kept the two main players from hitting the road to talk up their new release. I didn’t mess with superlatives for Jane Seymour in this column, but, boy, she gives the role of Elise depth beyond the words on the pages of the screenplay. So inspired by Matt’s work was I that I headed for OnDemand on a Saturday night and consumed this picture for the first time in decades. I loved it. Truly savored it. My reservations are still my reservations, but Somewhere in Time has three things going for it that simply overwhelm its drawbacks. The assets are, in no particular order, Jane Seymour, Mackinac Island locations, and John Barry’s score, which went through my head all night and is still there now. In fact, what the hell, let’s play it in the background while I write this. Cutting to the chase, speaking just for me, Christopher Reeve almost ruined this picture. I was never a fan. I tried my best to like his Superman and succeeded for a while because the press kept telling me he was good. But OMG is he not good. He thought he was an actor but was simply too quirky, too unaware of how he was coming off, and proved it in picture after picture. Yes, he had his good moments here and there. But too many bad ones. I like to think if he had remained healthy, he would have gotten the right coach and really developed the talent that was inside him. That said, I still remember exactly where I was when I heard the news he had suffered a catastrophic injury during an equestrian event. It shook me up; I never got over it. I’m still not over it. For a vital, successful young person to endure such a fate… The agony of Chris Reeve adds a layer of pathos to Matt’s video transposing Reeve at Mackinac locations with those locations today. It tears your heart out knowing what happened later on. I have to wonder if Reeve’s spirit doesn’t live on at Mackinac, so effective is Matt’s technique. 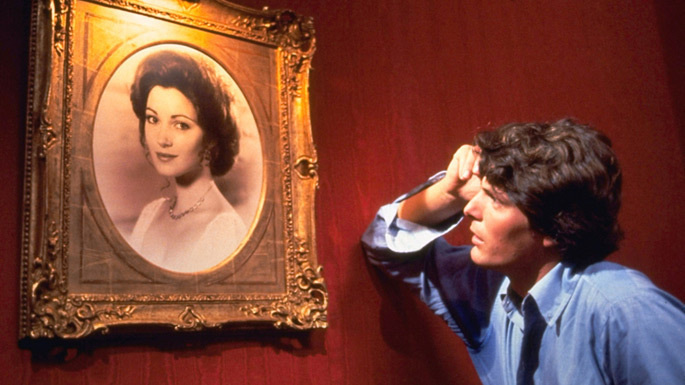 Somewhere in Time begins with young drama student Richard Collier being visited by an elderly lady who puts a pocket watch into his hands and pleads with him out of the blue, “Come back to me.” He stands there stunned, having never seen her before, and has no perspective on what’s happened. 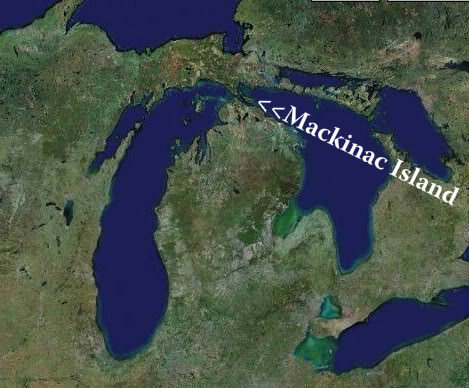 He goes on with his life and eight years later, as a successful playwright suffering writer’s block, gets out of his native Chicago and heads for a getaway on Mackinac Island, off the coast of Michigan. At plot point 1 he finds, and falls in love with, the portrait of a young actress on the wall at the majestic Grand Hotel. He learns her name, Elise McKenna, and that this photograph of such timeless quality was taken 68 years earlier, in 1912. Library research reveals “the last photograph taken of Elise McKenna” and it’s the old woman who had put the pocket watch into his hands eight years earlier! Academy Award-winning actress Teresa Wright only has one meaty scene, but it’s a honey as the nurse of elder Elise who helps Richard Collier begin the journey into his future…in the past. OK, you’ve got me. A perfect first half hour of cinema. Now just don’t blow it. Reeve borders on being pretty good in this first half hour. He’s got all these fidgety, self-conscious mannerisms he thought people needed to see, but he largely keeps them in check during the set-up. The way he gets back in time is preeeeeeeeeetty iffy. Not Reeve’s fault at all—it’s the device of the novel, Bid Time Return, by Richard Matheson. But eventually he does get back there and his meeting with young Elise on the beach by some trees is one of the sweetest, most effective scenes I’ve ever experienced. That location, that music, that woman, the intrigue of that moment and of his struggle to get to the bottom of the mystery but more importantly to get close to this face he’s fallen in love with. Reeve’s uncharacteristic, unbreathing stillness on the dolly approach helps the scene along as well. Yadda yadda, they spend time together despite her pill of a manager (there has to be a bad guy) and it’s 45 minutes of standard romance with an obligatory sexual coupling before his iffy time-travel device comes a cropper, and he’s catapulted back into 1980 as she screams his name and witnesses his dematerialization. I hated the ending 36 years ago and I hated it last night. It’s almost as if, “Welp, we’re outta money, folks, so let’s go home.” Red River comes to mind—90% of a winner of a picture with many touches of brilliance poisoned by an erring final plot twist. But as I murmured while experiencing the last 60 seconds of Somewhere in Time at 11:30 last night, James Cameron must have been one huge fan because he ripped it off down to single genomes for the ending of Titanic. I simply never put 2 and 2 together. Yikes. Granted my misgivings, I’m urging you to set your disbelief on a shelf and spend 104 minutes on the journey of Elise and Richard. In fact, watch Matt’s rad video first and then consume Somewhere in Time. This world crumbling around us needs more romance, more lush scenery, and more pretty music. Somewhere in Time has all three, and my shout-out goes to Matt: Thanks dude for helping me re-find a lost treasure. 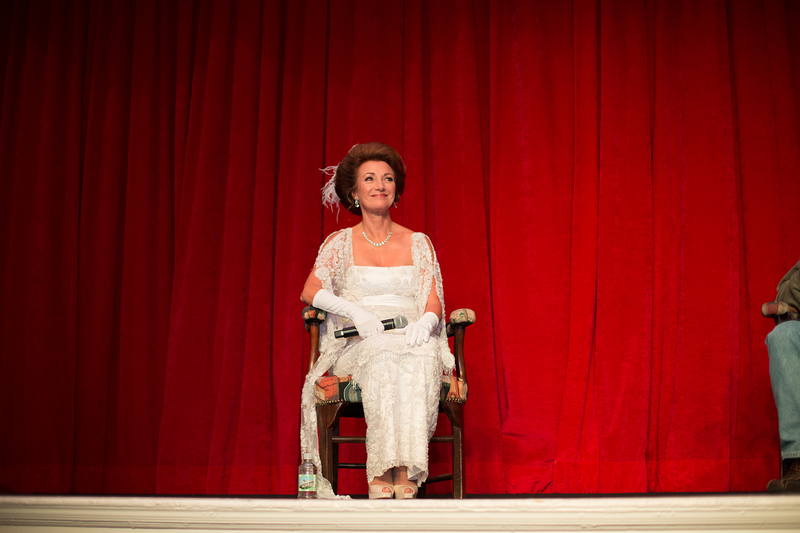 Jane Seymour returns to Mackinac Island for the traditional “Somewhere in Time Weekend” in 2015.